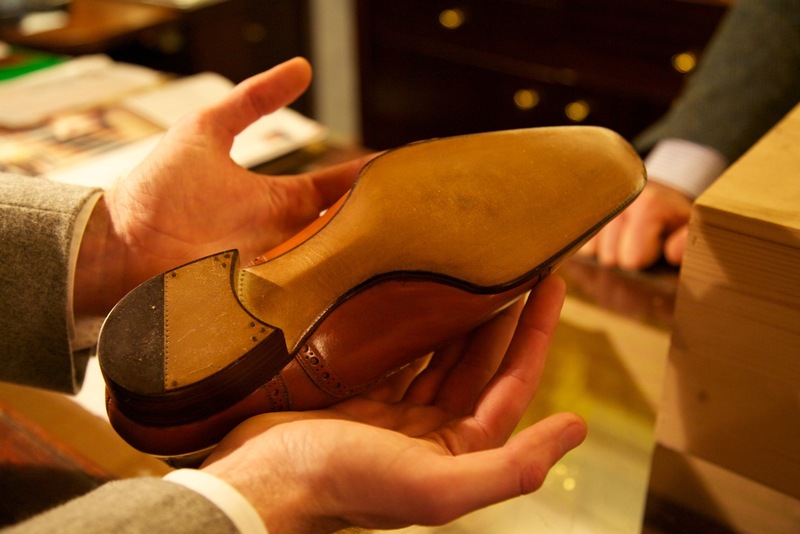 As many of you will know, master shoemaker Stefano Bemer sadly passed away last year. Since then his Florence workshop has been in something of a mess, with bureaucracy and financial problems holding back the reorganisation of the company. Fortunately, I can announce that new investment has been found and a transitional arrangement that had the company in Stefano’s wife’s name will end in February. The staff are being paid their back wages and everything is once more on track. The investor is Scuola del Cuoio, a fellow Florentine craft company that makes leather bags and other products. The Stefano Bemer company will move into new premises in their church, with three floors accommodating the workshop, office and a new shoemaking school. Masako, one of the three staff at Stefano Bemer (all Japanese) will be the key last maker and do fittings, as well as travel to Japan for trunk shows there – something she has already done in the past. This is also the 30th anniversary of Stefano founding the company, so expect some festivities later in the year. It’s great to hear that such a wonderful outfit will continue, and that shoes such as the beautiful one at top will continue to be made. You can follow the discussion on Stefano Bemer shoes back on track by entering your email address in the box below. You will then receive an email every time a new comment is added. These will also contain a link to a page where you can stop the alerts, and remove all of your related data from the site. Scuola del Cuoio is more than a Florentine “craft” company — it’s also a school to teach leather working. That is fantastic news and what a legacy! We hope to be able to send students from our intensive classes on to the school in the future.